The Running Professor: 2018 WMA Marathon Championship in Toronto, Ontario, Canada on the 21st of October—Who’s In? 2018 WMA Marathon Championship in Toronto, Ontario, Canada on the 21st of October—Who’s In? The World Masters Athletics Association (WMA) organizes World (and regional) Athletics competitions for Masters Athletes. In the past, they used essentially the IAAF model where the focus is on Track and Field events inside the stadium and a Marathon outside of it. There are now more non-stadia events at WMA Championships. At the 2018 Championships in Malaga Spain, for example, there were an 8K Cross Country Event and a 10K and Half Marathon Road Race, all outside the stadium. But, of course, the big non-stadia event, the Marathon, was not held at Malaga. In fact, after several tires at how to improve the Marathon experience for the Masters Athletes partaking in it, a decision was made to try partnering with an existing large Marathon that has already succeeded in attracting entries from a number of countries. The first experiment with this new approach is at the Scotia Bank Toronto Waterfront Marathon on Sunday, October 21, 2018. Athletes were notified by their governing bodies, USATF for the USA, about the event and how to register. Most athletes have registered already but the closing date for registration is October 2nd. If you enter and win your age division, you will be the 2018 WMA Marathon Champion and will be eligible to set a record using gun time. You must be a USATF Member and a US Citizen to represent Team USA. Registration closes October 2, 2018. Click on the box for ‘International Runners’ and scroll down to the section titled, “World Masters Athletics Marathon Championships.” Click on the ‘I have an Access Code’ box and enter the code given above. That gets you to the correct registration section where you enter your individual information. Online registration only. Preview. The event was not announced until May; that is comparatively late for people planning to run a fall Marathon. As a result, it is a select field; there are only 51 runners entered in the WMA Championship section of the race as of last Thursday, September 27. As of this past Friday, only 13 US runners had entered, 8 men and 5 women. It is not too late to enter but registration closes on Tuesday, October 2, 2018. The runners who are likely to be in contention for a podium finish for Team USA are highlighted below. Age Grade scores are noted in brackets when 80% or above. Based on Age Grading it appears Gene Dykes has the best shot at a Gold Medal, but Heidy Lozano and Makie Ohler should have a shot too. It depends, as always, on who shows up to contest the race. Kelly Dworak 55-59 Dworak took 2nd in the 2018 USATF Masters Half Marathon Championships in June in 1:37:00. Although I can find some Half Marathon and 10 Mile results, the Marathon seems to be an exception. The one Marathon I find in the last few years is her age division win at the Snickers Marathon Energy Bar Marathon in Albany Georgia this past March in 3:38:13. Gene Dykes 70-74 Dykes has been setting the Masters LDR world on fire this year. He had been running well over the past few years; he ran 3:09 and change at the Boston Marathon in 2014, 2016, and 2017. But it sunk in once he moved to a different level. Dykes turned 70 right before the Rotterdam Marathon. On April 8th, he stunned the Masters Running world by clocking a 2:57:43 [93.43AG%] at that race, the first in the world since the late legendary Masters Marathoner, Ed Whitlock, to break 3 hours in a marathon over the age of 70. In doing so, he smashed the American record by over 3 minutes. 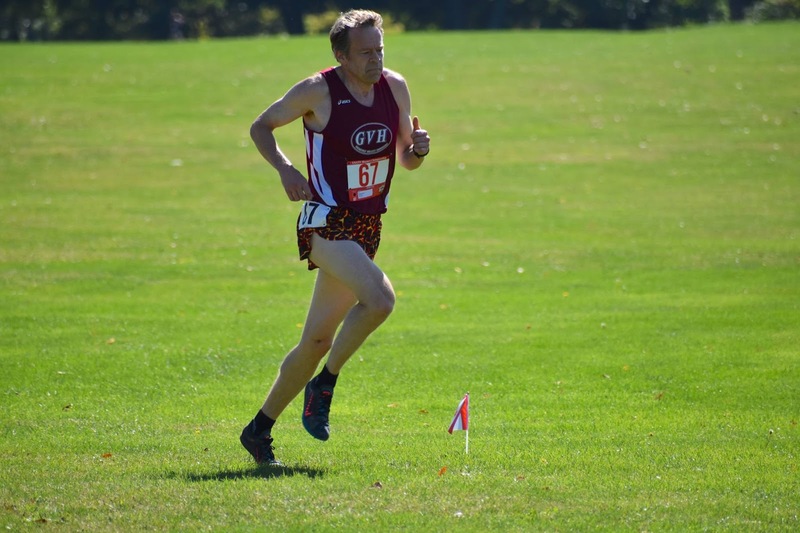 He has since gone on to win USATF National Age Division Championships at the 10K, the Half Marathon, the 5K and the 5Km Cross Country Championships, and has clinched the 2018 Individual Masters Grand Prix Championship. Interestingly, Dykes is familiar with the course, having run the race in 2013 before he got serious about running fast and hired a coach. He ran it, at age 65, in 3:29:26. He expects to run much faster in this year’s edition. In fact, he may entertain notions of bettering Whitlock’s 2:54:48.3 set on this same course 14 years ago when Whitlock was 73. Alan Evans 55-59 Evans, a Genesee Valley Harriers stalwart, is well known in the USATF Masters LDR world. 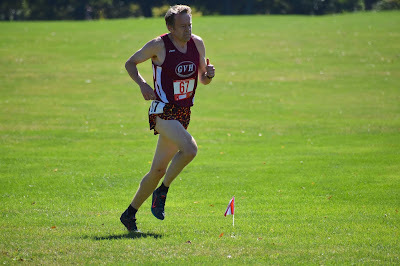 Although he prefers longer races, he often runs for GVH in the Cross Country Championships and in some of the road races. 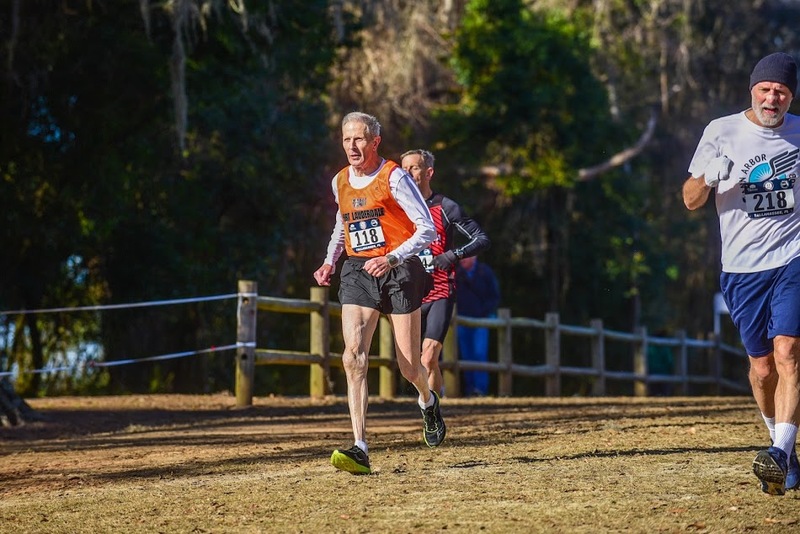 He just won the 55-59 division at the Masters 5 Km XC Championships in Buffalo, and had the highest age-grading score in the Men’s races. His Marathon exploits may be less well known. He won his age division at Grandma’s Marathon this past June in 2:52:39 [83.08AG%] and in 2017 clocked 2:52:16. Jonathan Lane 45-49 Lane won his age division at the Buffalo Marathon in 2:56:18 earlier this year and finished 2nd in the age division at the Mighty Niagara Half Marathon in Youngstown Ohio in 1:26:37. Heidy Lozano 55-59 Lozano finished 2nd in her 50-54 age division (1st American) this past January at the Chevron Houston Marathon in 3:07:39 [86.37%AG%]. Now that she has aged up to 55-59, that kind of time will be even more competitive. Two months before that she won the age division at the Indianapolis Monumental Marathon in 3:18:53. Closer to home, Lozano also took age division honors at the Kaiser Permanente Colfax Marathon in Denver in 2016 with a 3:10:41. Makie Ohler 55-59 Last December Ohler took 2nd in the 55-59 age division at the California International Marathon in 3:20:01. That time may be deceiving though because the prior year she ran 3:07:41 to take 4th in the 50-54 division [86.35AG%]. She ran 3:17:35 in Boston in 2015. Casey Strange 50-54 Although currently listed out of Alabama, most of Strange’s results are from the West Coast. He was the lead runner on the Pamakids 50+ team that took 12th at the 2015 Club Cross Country Championships in San Francisco. A few months later he took 5th in his age division at the Los Angeles Marathon in 2:52:31 [80.93AG%]. Two months later he ran 2:58:11 at Boston. Becky Wittrig 50-54 Last May Wittrig won the 50-54 division at the York Marathon in York, PA in 3:33:17. 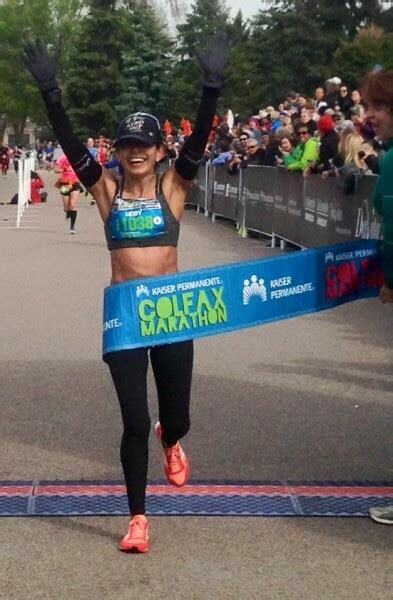 Last November she won the 45-49 division at the Harrisburg Marathon in 3:25:55.